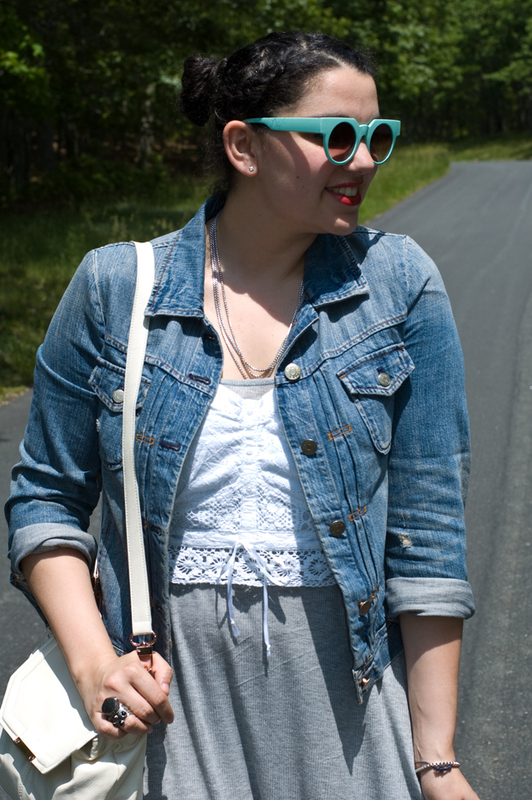 If you haven't figured it out by now, my summer staple is definitely my denim jacket. 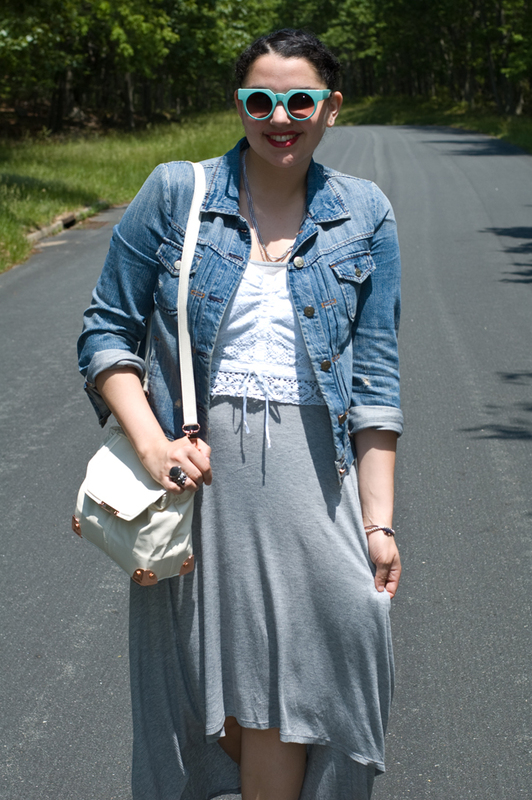 It really goes with everything and is the perfect layering piece for a light breeze. Don't have one? Get one. Wow! I think you styled this look beautifully! I love the corset and denim jacket plus the pop of mint! i love your skirt! its so fierce! I love this outfit, soooooooo pretty! awesome outfit! love the glasses, i have been pondering getting that pair off asos myself! Fantastic outfit, and I just love your sunglasses! Such a fun look - love the skirt! nice outfit, and i love the way you paired it with denim jacket! Love the outfit, the dress is fantastic! this outfit is all kinds of perfection! i love everything about it! I really like your style! LOve it! 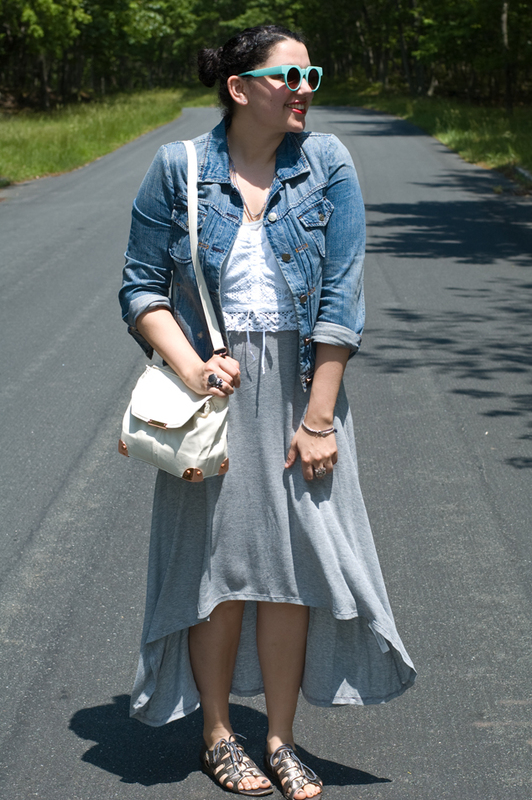 The combination of these skirt, top and denim jacket is just perfect! Great outfit and love the denim jacket! I feel like denim jackets go with everything! Those are the bessssst sunnies ever! 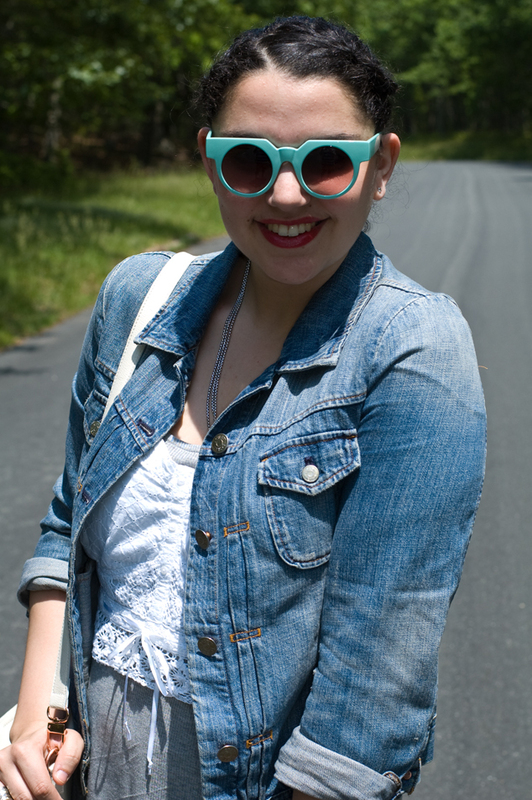 The shape of them is brilliant and i'm obsessed with turquoise and pink sunnies for the summer! FABBBB jean jacket too!!! Happy weekend gorgeous! Cute look! I love your glasses! love the skirt and glasses! Very cute! Love your high-low skirt. Jean jackets are the best. I always go through phases with them, though. Sometimes I love 'em, sometimes they're dated. Currently donning mine from like 3years ago. Love yours. J.Crew does it well- but then again, what doesn't it do beautifully? Stopped in a Zara today to check for you bling - no luck. I'll keep it up. 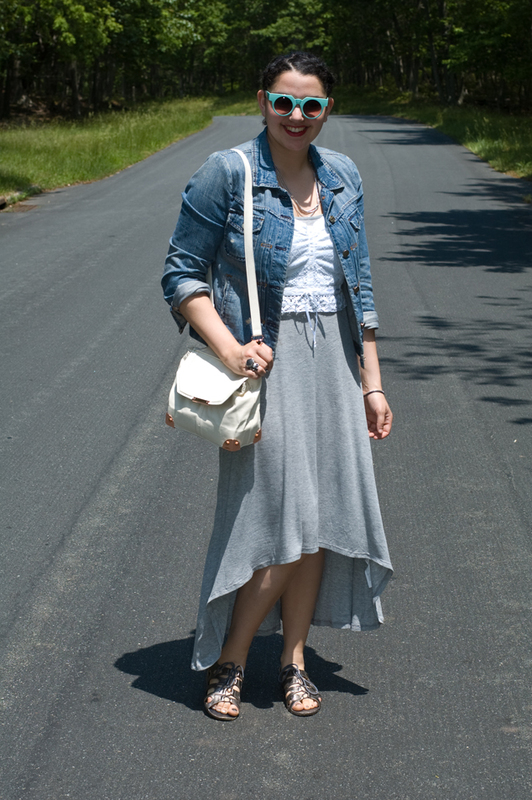 Denim is so versatile that it's fun to create different looks with it! Really adoring the color of those sunglasses! Also, great purse! Great skirt!! Lovely look!! Thanks for the visit!! Loved here!!! I desperately want a high-low skirt, I love yours! Loving the Hi/Low and the bag and sandals are great pairings! dont wear these glases.. it doasnt make you atraktive at oll..
Beautiful look!!! thank you so much for your comment! !